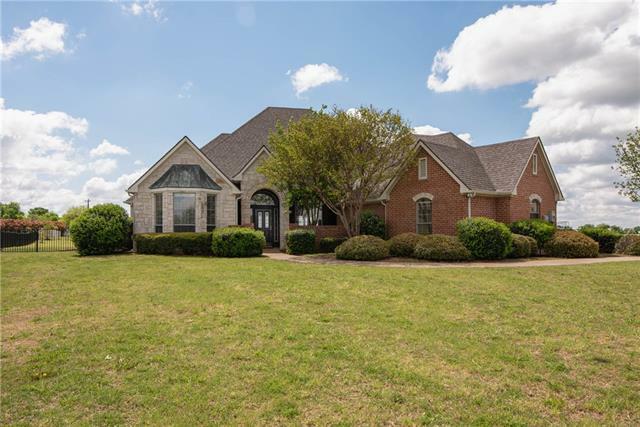 All Van Alstyne homes currently listed for sale in Van Alstyne as of 04/25/2019 are shown below. You can change the search criteria at any time by pressing the 'Change Search' button below. 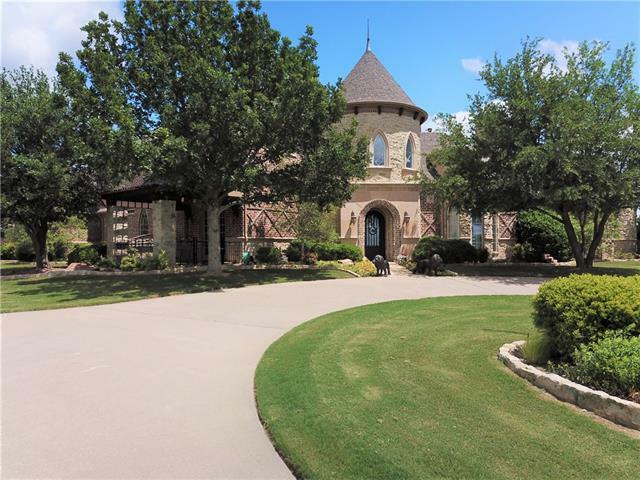 If you have any questions or you would like more information about any Van Alstyne homes for sale or other Van Alstyne real estate, please contact us and one of our knowledgeable Van Alstyne REALTORS® would be pleased to assist you. 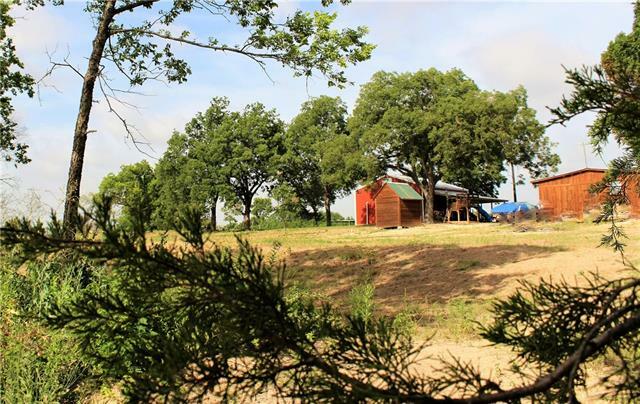 "Rolling terrain with pasture land and oak stands as far as you can see! The beautiful home looks solid and natural in this picturesque setting. Nestled in the woods, there are approximately 360 acres that run from rolling hills to the creek down below. The home features vaulted natural wood ceilings in the great room that has a two-story picture view of the luscious land below. 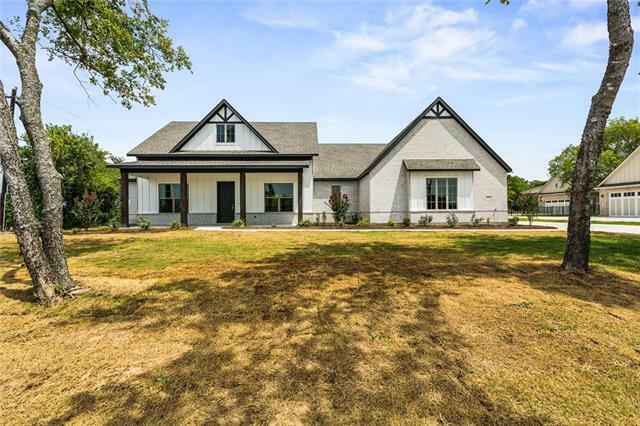 This four bedroom, three full baths + two half baths home is a perfect place to relax after a hard day in the Metroplex"
"Rolling terrain with pasture land and oak stands as far as you can see! The beautiful home looks solid and natural in this picturesque setting. Nestled in the woods, there are approximately 100 acres that run from rolling hills to the creek down below. The home features vaulted natural wood ceilings in the great room that has a two-story picture view of the luscious land below. 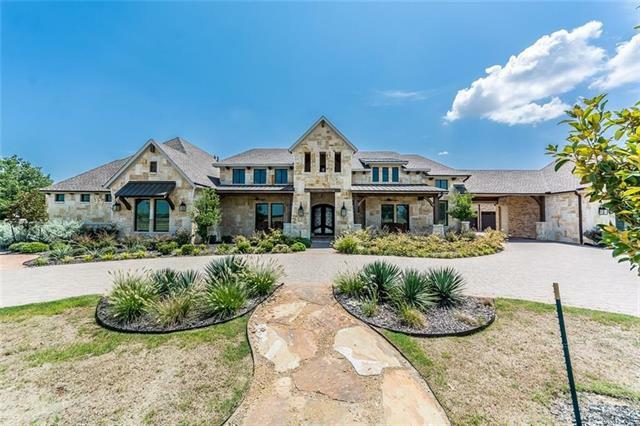 This four bedroom, three full baths + two half baths home is a perfect place to relax after a hard day in the Metroplex"
"Gorgeous Home on Hill with unbelievable views on 71 acres. So many details and amenities abound in this 5 bedroom,6 bath custom home. A cooks kitchen with double ovens, dual dishwashers and built in steamer are just a few of the favorite items in this large kitchen. Two separate living areas, game room, wine cellar and theater give you plenty of places to entertain. Two staircases, fire sprinklers, dumbwaiter, 3 car garage and central vac are just a few of the many extras in this home. A golfer"
"If you are looking for a pristine ranch, this is it. Beautifully maintained and manicured inside and out. This home has gorgeous views and is fenced and cross fenced. Ready for your livestock. This property has it all, from the 4 bedroom, 2 full bath, and 2 half baths to a large shop which can be converted into living space. With 30 plus acres and a pond this property has endless opportunities. The front entrance of this property has an electronic gate and the property is fully fenced." "Location is everything!! Check it out! 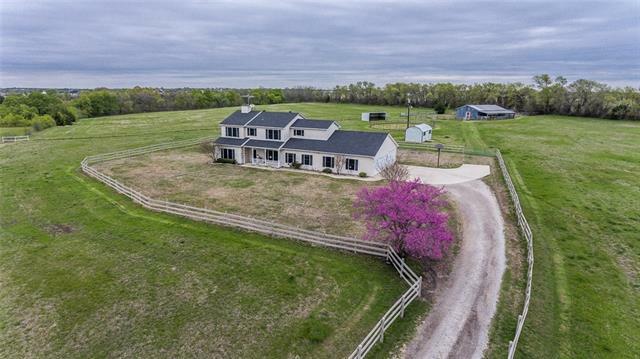 High traffic volume 1 mile west of US75 and FM 121 intersection makes these 2 homes on acreage great business location and great 1031 Exchange property. Located in the Van Alstyne ETJ. Currently residential use with main house at back and rent house in front. Large shop near main house. Good location for business that needs lots of parking or small shopping center,also great apartment location near college." 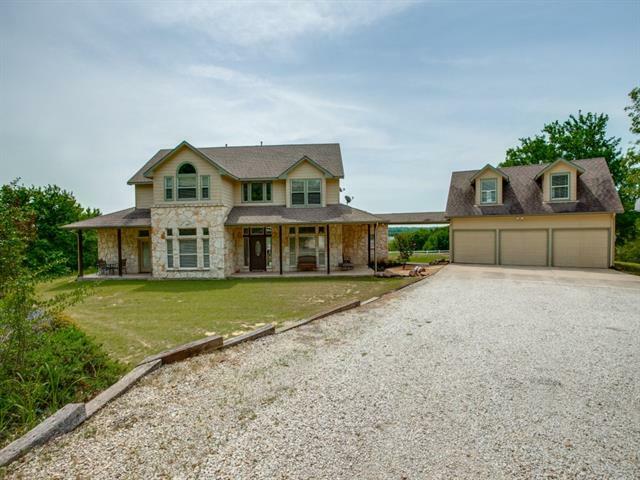 "Gated private drive under a canopy of trees to your own slice of Texas. Custom barnominium nestled under the mature pecan trees. Home has cedar lined walls and a converted detached garage for a man cave or 1 bedroom apartment. Approximately 74 rolling acres with clusters of trees. Property also has 3 wells and is surrounded on 3 sides by a creek for complete privacy. More room to build house of your dreams. Or a wildlife ranch as deer have been seasonal on property. No known restrictions. Create"
"Gorgeous Oak Crest Custom Home settled in The Enclave at Chapel Creek Farms! If you are looking for the most exclusive address in the top-rated Van Alstyne ISD and The Premier Luxury Custom home, while you Enjoy your Social Membership at Hurricane Creek Country Club, natural gas, GIGABIT Internet Access, concrete streets, athletic field, & pavilion, strong architectural controls, and much more with your selected home site. Pick out your lot, floor plan, and features today!" 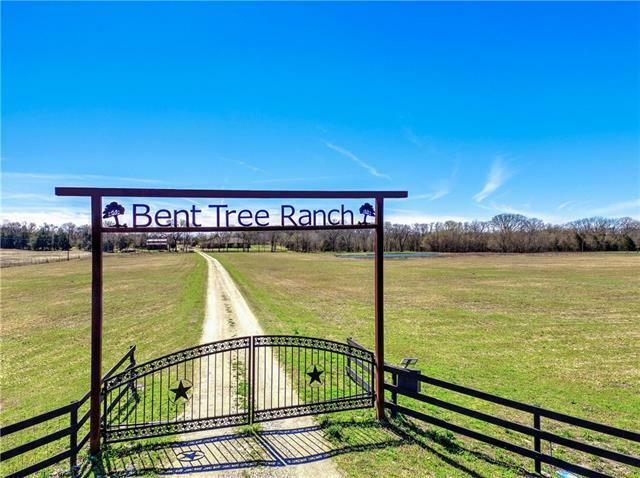 "The Bent Tree Ranch property has it all- 4 bedroom 4 bath home with gorgeous finishes, huge diving pool, a 60x30 shop with a loft and a large pond. The shop has a 2nd story loft. The home has stunning hardwoods throughout, plantation shutters, 8 ft solid doors, and an amazing kitchen with a totally open floor plan. 3 of the bedrooms have an ensuite. The stone fireplace has a gorgeous juniper mantle. The view from this front porch over looking the pond is priceless. 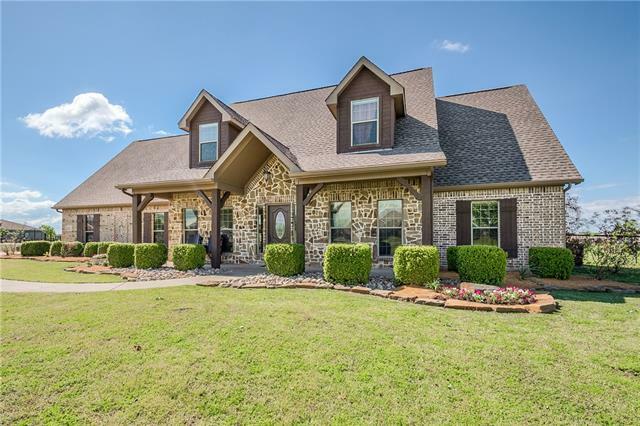 The home is completely priva"
"Your story begins at Wintergreen Farms...just northeast of McKinney you will find your business, your family and a picture perfect parcel of land. Dense woods, abundant wildlife and 6000 plus Christmas Trees, barns and retail. Unforgettable memories will be made at this country farm. Multiple revenue streams. Holidays at the farm draws 8000-10000 visitors. Grab the kids, load up the animals....and head for the quaint town of Van Alstyne." "Wooded agricultural land situated on approximately 30.57 acres with a pond and 4 structures. A 2 bed 1bath farmhouse with porches is approximately 896 of the heated living area is adjacent to a 30x40 workshop. The workshop has a personnel door and one roll-up door 16ft wide x 8ft high (ceiling clearance is 11ft high). Another structure is a 60ft x 100ft metal shop that has been partially built-out to accommodate a barndominium, and the foundation is pier & beam on bedrock with 16ft wide x 24ft h"
"Country living at its finest. 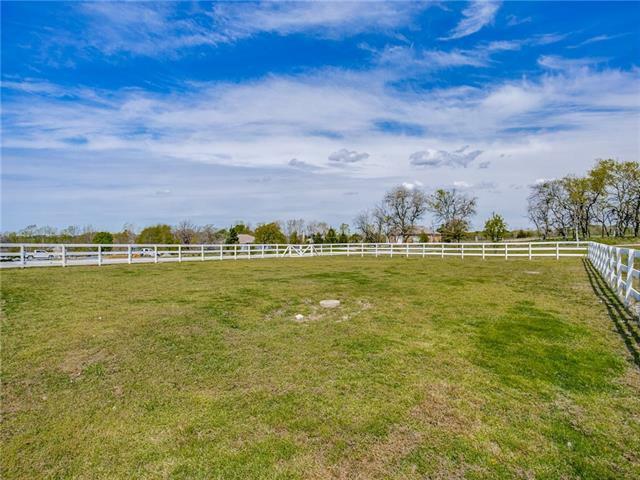 Remarkable, very well maintained 15 acre ranch that is ready for horses. Very comfortable and spacious home. 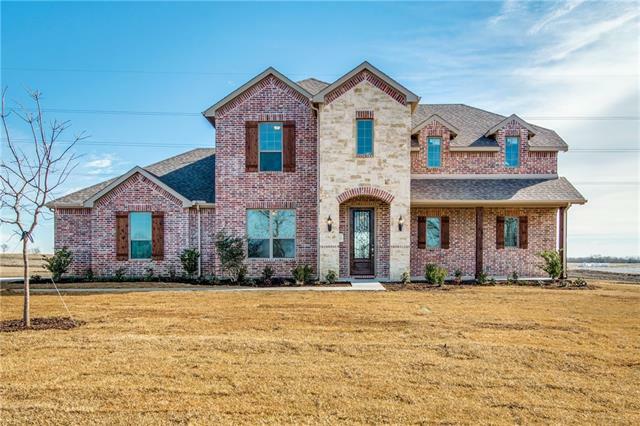 4 bedrooms, 3.5 baths, 2,987 sq. ft., with a car garage. 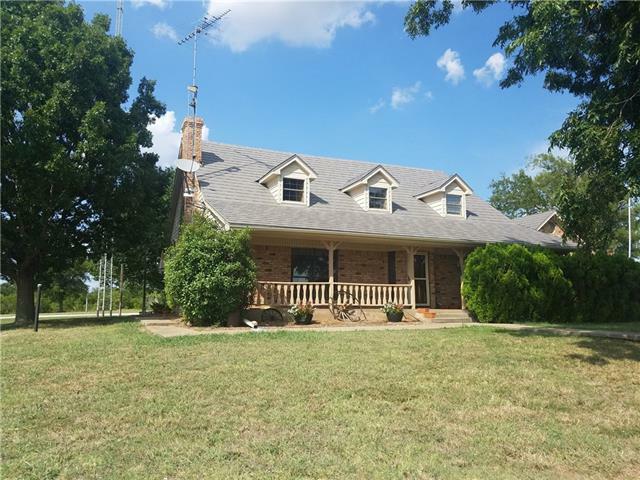 Lots of room for horses with 5 stall barn, tack room, loafing shed, round pen and fenced." "Completely updated Century home lovingly restored to its original grandeur, with modern systems and energy efficiency. The owner's care and love for this grand home is evident inside and out. Enter the front door to an abundance of character from a bygone era. The stately formal and dining room have their original French doors. Original hardwoods thru-out most of the home. Completely updated kitchen stays true to the architecture of the home. 5 bedrooms, choice of down or upstairs master suite. " 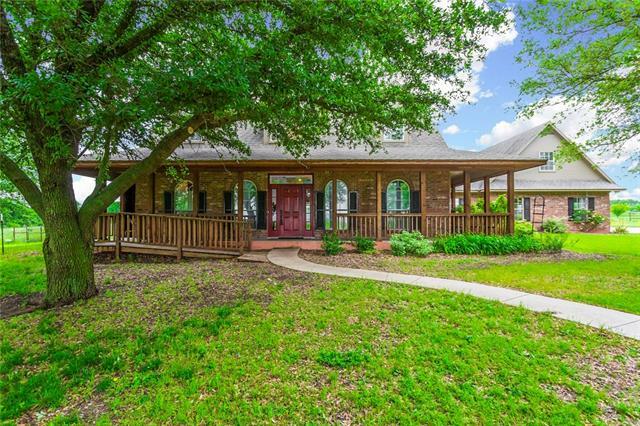 "Gorgeous 6-bdrm home on sprawling fenced 10-acres provide unlimited opportunity. 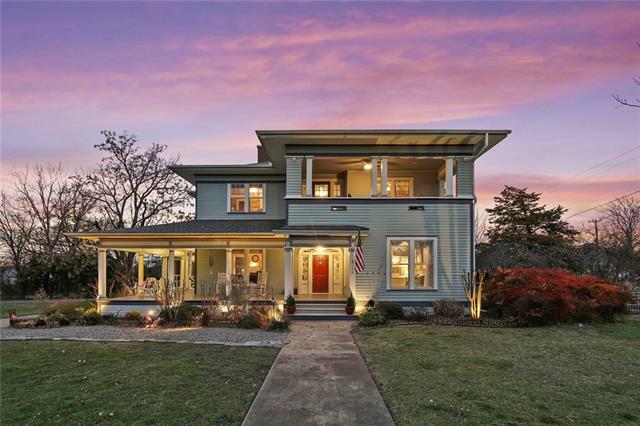 Frnt wrap-arnd porch features cedar bms & offers amazing view of unobstructed sunset. You will immediately feel right at home! Island kitchen boasts updated appliances & double ovens. Blue sky views can be found from the Sunroom off the great rm-kitchen area & offer a marvelous sunrise. Mstr suite has lge bath & private patio! Ovrized garage. Lrg bonus rm above living rm with 4 storage closets.Cedar covered back po"
"Amateur radio Operators Dream. 3 Towers ready to go, 30,000 watt Kohler generator with auto transfer switch, fueled by propane. Roof is Steel shingles, 50 years guarantee with wind resistance up to 110 miles per hr. Underlayment cool ply radiant barrier. Solar Panels 5,000 watts auto tied to house. Excess power sold to TXU. LR boasts beautiful beaded woodwork on walls and ceiling. WBFP, Formal DR and spacious eat in kitchen. 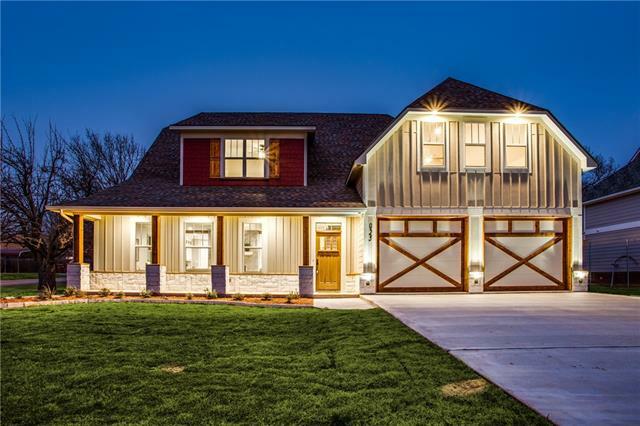 4 car garage with space to spare and a exterior door to offer easy"
"Gorgeous new Stonehollow Home on 2.18 acres! Elegant home includes stone elevation, 8 ft solid doors downstairs, cast stone gas fireplace, Bianco Antico granite counters, Soji White Glazed cabinets, stainless Maytag appliances with double ovens, and a custom cabinet vent hood. This home features handscraped wood floors in entry, study, formal dining, and halls. Over-sized 24 x 12 tile in kitchen, baths & lg utility room. 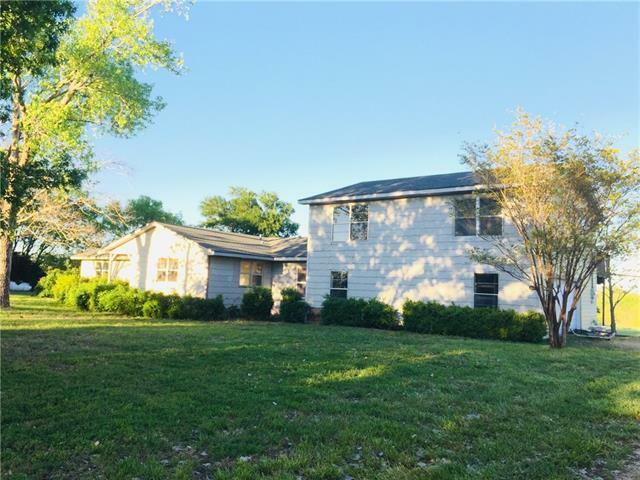 Enormous covered rear patio overlooks acreage which is sodded at front and "
"Two Story Craftsman house with 4 Bedrooms, 3.1 Baths and the fourth bedroom can double as an office. Open floor plan with see through Fireplace between kitchen and living. Kitchen with granite countertops, deco backsplash, painted shaker style cabinets and stainless appliances. Oversized Master with dual vanities, cultured marble countertops, 2 person soaker tub, huge separate shower and massive walk in closet. Spacious secondary bedrooms upstairs with Jack and Jill bathroom suite. Upstairs St"
"Welcome to your piece of the Texas Hill Country in North Texas, in the highly sought after Van Alstyne ISD! 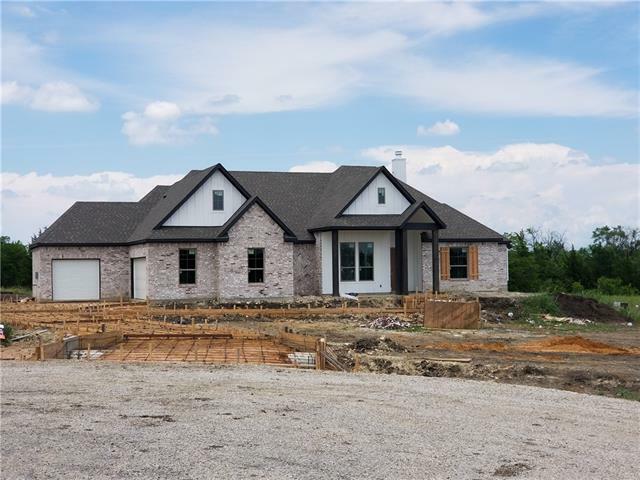 This custom built home has all the upgrades, including hand scraped wood floors and 8in base boards down stairs, granite throughout, and beautiful stone fireplace! All upgraded Kitchen Aide commercial grade appliances, new roof in 2018, and new landscaping this spring! The master suite has its own office attached away from your entertaining area downstairs. Huge 30x40 shop with space for "
"UPDATED and STUNNING on 1.29 ACRES situated on a cul-de-sac street. New roof and 30 new windows (2019) new paint (2019) New flooring (2018), New stove, appliances, water heater. Pool (2015). So many amenities. Manicured acreage on cul-de-sac street in sought after Trail Ridge Community. 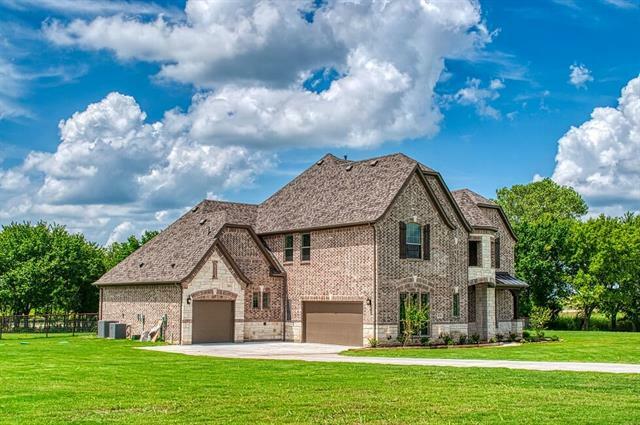 A small, gated community of custom homes in sought after VAISD. Open concept living with granite countertops, breakfast bar and eat in kitchen. Formal dining area, living and a library style office or 2nd livin"
"Enjoy country living with excellent schools in a rural lifestyle. New custom home on 1-acre cul de sac lot. West of Van Alstyne in Blackthorn Meadow subdivision. Home features upgrades throughout with a large master bedroom, master bath, gourmet kitchen with gas range opens to dining area and family room with gas fireplace. The lawn around the home will have a sprinkler irrigation system. Covered patios on the front and back. 3 car garage attached. Excellent home to live and entertain in. 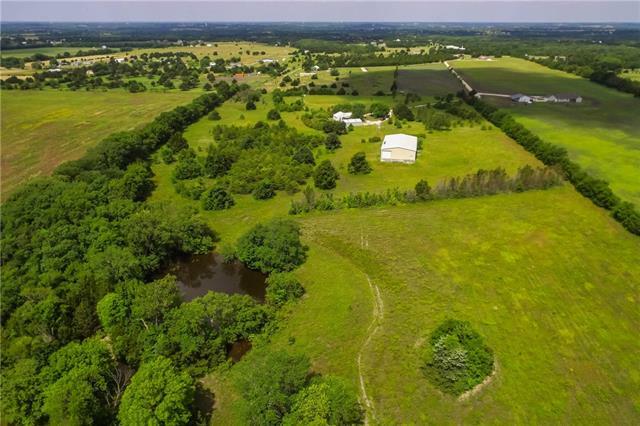 Under"
"Gorgeous country property-Property features rolling hills with absolutely beautiful view and lots of road frontage in a beautiful neighborhood. Fruits trees in the orchard. House features a 2nd floor Balcony off of a HUGE mstr bedroom&bath (900+ sqft), hidden doorway leads to separate private wing containing 2 bedrooms and a bath. It has a spacious foyer and a grand formal living room for entertaining, Beautiful brick fireplace. Eat-in kitchen, Large utility room, walk-in pantry and 2 car garage"
"Custom Builder's Personal Home with so many upgrades and one-of-a-kind features you will never find anywhere else. The quality of this home sets it apart with beautiful crown molding, vintage tip out flour bins, custom bar cabinet, secret shelving compartments, and a backyard that feels like a retreat. Hardwoods, large bedrooms, ample storage, and beautiful neutral decor make this home fabulous." 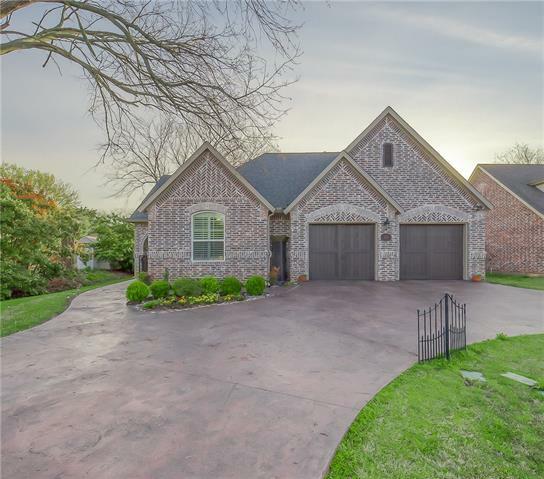 "Beautiful 4 bedroom, 3 bath home in exemplary Van Alstyne School District. Come enjoy peaceful living in the country on this nearly an acre lot. This home has an open floor-plan with wood floors, plantation shutters, large living room with fireplace and study. Kitchen has new custom-built cabinets, granite counter-tops, SS appliances, built-in double ovens and microwave. Play a game of pool in the game-room or make it a media room for all your family entertaining. Large bedrooms for your kids o"
"NEW CONSTRUCTION ALMOST COMPLETE. 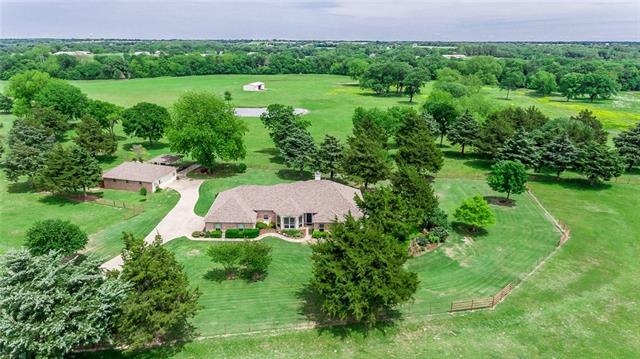 ONE ACRE WITH NO HOA. GRANITE TOPS IN KITCHEN AND MASTER BATH. LANDSCAPED FRONT AND SIDE YARDS, SPRINLER SYSTEM. LOTS OF HARD SURFACE FLOORING. LARGE KITCHEN. A MUST TO SHOW"